Are you ever falling behind in your daily activities, and in need of a quick fix for dinner? Couscous is a tasty and very quick side dish that can be whipped up in less than 15 minutes. It pairs nicely with chicken, so on those busy evenings, you can grab some leftovers or one of those rotisserie chickens from the grocery store, a quick salad or frozen veggie, and the couscous, and dinner is on the table in less than a half hour! 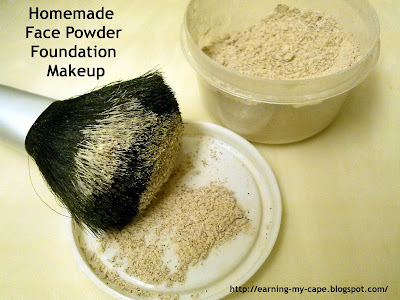 As soon as I saw the Homemade Face Powder Foundation on My Merry Messy Life, I knew I wanted to try it! Sara promised that it was all natural and easy, and she was right! I mixed some up on less than five minutes, and tried it out. Like Sara, I am fair-skinned, so I used cornstarch and a little cinnamon.I found that I only needed 1 teaspoon of cinnamon to the 2 Tablespoons of cornstarch. I didn't add an essential oil, only because I don't have any at the moment. I think I am going to be adding one that is nourishing to dry skin. My skin is combination, but I think the powder itself will help with the areas that tend to get a little oily after being out and about in the heat all day. Sara says that Palmarosa is hydrating, so I may try that! Click here to go to Sara's post, see how you can make your own powder foundation for any skin tone, and to choose the best essential oil for your skin! I love fun little educational worksheets! The best ones have things that capture your child's attention. 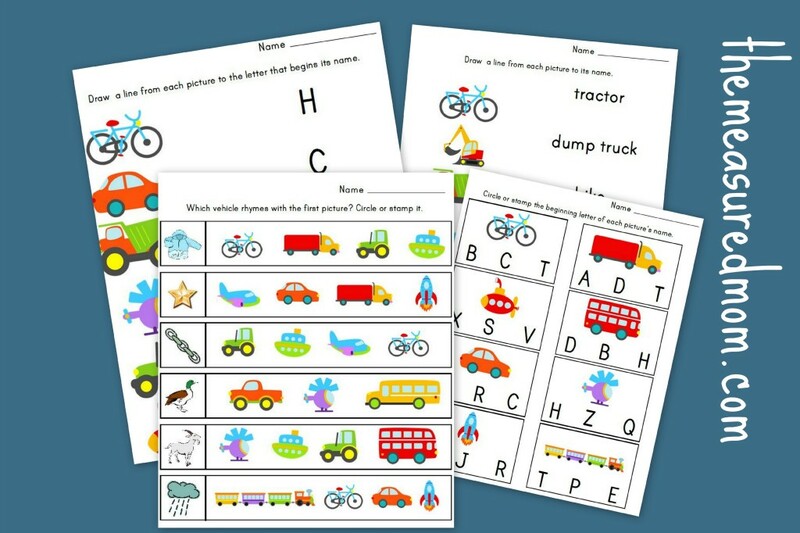 These Transportation Worksheets for Preschool – 20 free pages of Literacy and Math by The Measured Mom do just that with the colorful trucks and cars! Click HERE to view and print the worksheets. It's Surprise recipe swap time! If you don't know what the Surprise Recipe Swap is, you can hop on over to Hungry Little Girl and visit our wonderful host, Jutta, and read more about it. This month, I was paired up with an exciting food blog called Turnips 2 Tangerines, and let me tell you... if you are a foodie, you are going to want to put this site on your reading list! There are so many yummy looking recipes, complete with beautiful pictures! 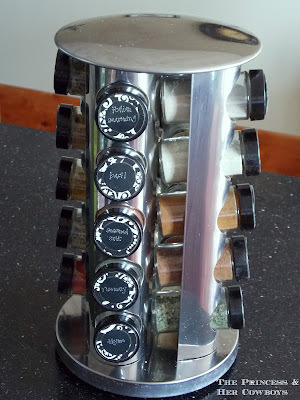 Is your spice cabinet um... well... messy? There is a fun and creative fix for that! Check out this Revamped Spice Rack by The Princess & Her Cowboys! Click HERE to see how you can customize your own!